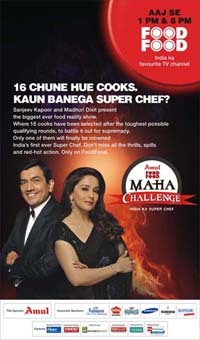 FoodFood TV channel, ranks 10 in the list of most trusted TV channel in the 1st year of launch! Month of February is surely ending on an upbeat note! 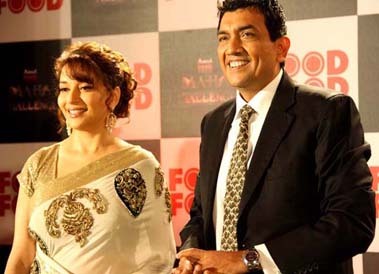 My food lifestyle channel FoodFood has climbed tenth spot in the very first year of its launch, according to the Brand Trust Report (BTR) unveiled early this week. The BTR, compiled and released annually, includes the BTR questionnaire which is designed to illuminate approximately 425 aspects of brand trust, of which 391 were directly brand related. The study generated nearly two million data points and 17,000 brands and was conducted across 15 cities. FoodFood’s philosophy of content honesty has paid off. We try to show what people want and like. Their success in making recipes after the shows is the secret of our success. We will keep doing that. Content will drive the channel. 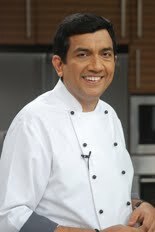 As the new month comes marching in, so do our new offerings on www.sanjeevkapoor.com! What should you look out for? Holi and Gudi Padwa specialities, foods that your children will enjoy during their exams, Chettinaad recipes, as also something special for the International Women’s Day which is coinciding with Holi this year! Shooting tomorrow for Star CJ and it could be a long day for me. Work in full swing on a couple of new books and as a curtain raiser I might just tell you that your packed lunches are going to be resuscitated! As grapes and strawberries are in full season why not make the most of them? The month goes rolling by fast! 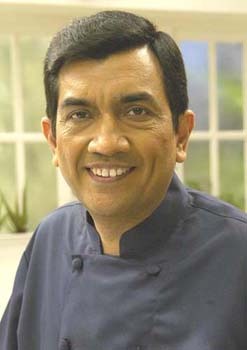 Showed today on Aaj Takchannel an intriguing recipe of Rainbow Rice. Had the shoot yesterday in my office studio kitchen and I had a rather rushed day. Came back on late night 21st from Korea, then this shoot the following morning, and straight after rushed to Powai as I had a speaking engagement for IRF Consumer Insights. The topic was “Understanding the Urban Middle Class Indian Housewife.” Soon after, came back to office as there were some meetings and interviews lined up! After all this, was present at the Bombay Exhibition Centre, today, for the Times Hospitality Expo 2011 to inaugurate the event with other renowned celebrities like Mr. Chaggan Bujbal (Maharashtra Tourism Development Corporation), Mr. Anil Deshmukh (Food and Civil Minister), Mr. Ajay Chopra (Master Chef, TV Celebrity Chef), Ms. Tarla Dalal (food critic), Abhijeet MukherjeE (VP Taj Luxury Properties, all over India), Mr. Vithal Kamath (Orchid Group/Kamath Group). The star attraction for this show was the demonstration and seminar by WICA association. • How to drive profits from F&B? • Should hotels outsource the F&B? • Would it be an advantage for 1-3 star hotels to allow delivery of food to rooms rather than investing in their own kitchen in restaurants? Again, Day 2 will begin with a heritage walk through the old city of Amritsar visiting the Jalianwala Bagh and Golden Temple followed by the rest of the presentations and finally wrapping up with a cocktail lunch and a tour to Wagah Border. Quite an interesting trip, I must say! Mid next week is my session in Hyderabad with the Billion Hearts Beating (BHB) Foundation to mark the World Heart Day. On 29th in Chennai for one more event related to the BHB activities. For more excitement and the competition, don’t forget to catch Amul FoodFood MahaChallenge, starting today, every Friday at 1 pm and 8 pm only on FoodFood, India ka favourite TV Channel. Massive activity for the Maha Challenge shoot. Spent Sunday shooting some episodes with Madhuri Dixit. This show is going to be a grand show and I am sure you are looking forward to it! Celebrations at home today with Rachita’s birthday so there is bound to be a lot of cooking. At work we are done with coding of the new website and testing of the content management system will start from tomorrow or day after. 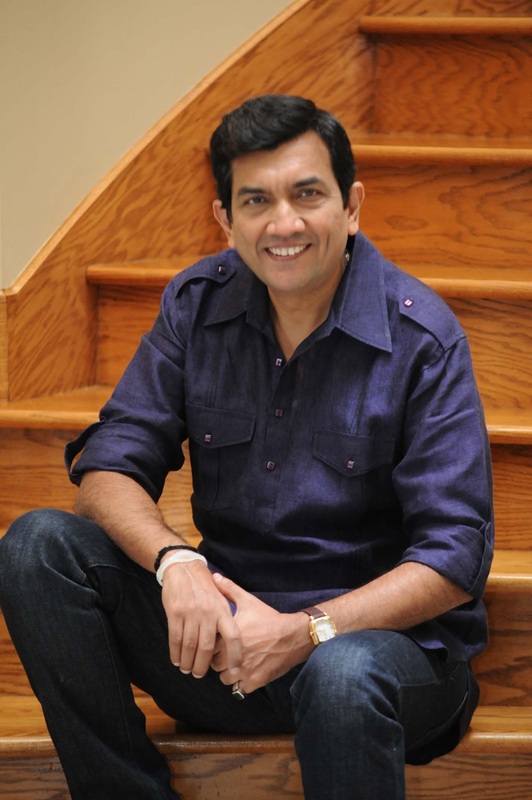 You will be presented with an all new http://www.sanjeevkapoor.com in a few week’s time – a new website that will not only have more material to read, new features but also more interaction. Alongside, some shoots are being carried out by my team today for Star CJ and Hungama Digital Interface. So there is a lot cooking even at work! As for some food that I can share right away with you, here goes.